Sauce class is back, February 24! Learn to make your own sauce while enjoying a bbq sampler, a flight of four beers from SweetWater Brewery, and surprise for the best sauce name. Make enough to enjoy it with us and take a bottle of your creation home. You also receive a $10 gift certificate to be used on your return visit. D.B.A. Barbecue will be serving up copious amounts of Pork, Collard Greens, Black-eyed peas, and corn muffins to start your 2016 off right. Progress, cash, prosperity, gold will fill your 2016. Come watch the bowl games with your friends and neighbors. Happy New Year! Planning a holiday party? Call or email us today to place your southern comfort food and bbq catering. Also, call to inquire about hosting your party at D.B.A. Barbecue - 404.249.5010 or catering@dbabbq.com. One thing you may not know about us barbecue folks is that we're all friends. Guess you could call it a barbeclique. Many thanks to our friends at Zagat for including us in this list of the 10 Hottest Barbecue Restaurants in Atlanta. We're certainly in good company! Bring a big appetite with you when dining out this week, July 13-19. It's Georgia Restaurant Association's inaugural restaurant week and we are thrilled to participate! Visit D.B.A. Barbecue for lunch to enjoy a $15 lunch menu or bring a group for dinner and check out our special $25 dinner menu this week. View D.B.A. 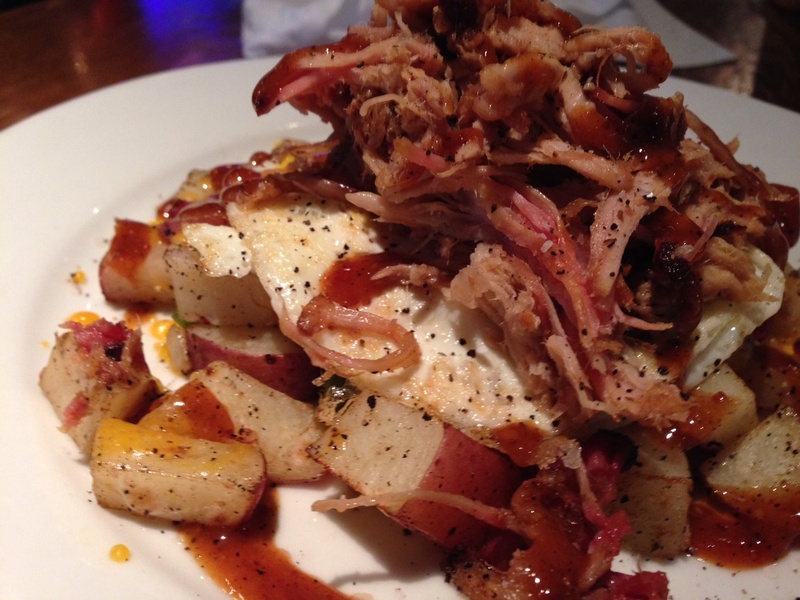 Barbecue's GRA Restaurant Week Menu online. Stay connected while you're dining at D.B.A. Barbecue! Please remember to tag us on social media (@dbabarbecue) and include the designated GRA hashtag: #GaRestaurantWeek. While D.B.A. Barbecue has always been an ally, believing that love trumps all, we're thrilled about the recent news that many states will now recognize LGBT relationships on a legal level. We are honored to be a part of your celebration! Contact our catering department today to discuss all of your barbecue catering needs for your wedding. Email catering@dbabbq.com or call 404.249.5010 to speak with one of our wedding caterers. Avoid the long take out lines on Friday and Saturday...call us today to pre-order your St. Louis, Baby Backs, wing platters and more!! Get on dad's good side this Father's Day with a gift certificate to D.B.A. Better yet...bring him in for Sunday Brunch! Barbecue and Brunch...Brunch-B-Que anyone? Click here to check out all the brunch deliciousness we have in store for you at D.B.A. Barbecue. Taste of Atlanta is hosting a series of pop-up ticket sales this Friday! The first 50 people who show up to purchase tickets at D.B.A. Barbecue between 6-7 pm on Friday, June 5th will receive a pre-sale pass with an access code to purchase 2 tickets for $20 ($54 retail). BONUS: everyone who attends will receive a special meat treat and also be entered to win a Big Green Egg. Looking for something fun to do with the kiddos? Perhaps a unique Father's Day idea? Check out our sauce class for kids. Tickets available online at FreshTix. Brunch Service Begins THIS SUNDAY! From beignets to baked cinnamon bun french toast, BBQ benedict or our signature Smok-n-Fried chicken over buttermilk waffles, THIS is the brunch menu to cure all the hangovers!! Here's a little teaser slideshow to get your taste buds going. WARNING: If you're on a diet that doesn't include bread, meat or cheese, this is NSFYM (not suitable for you). We grind out Certified Angus Beef Brisket daily to make our burgers. National Burger Day...we salute you! Brunch is Making its Way to D.B.A. This Wednesday, May 27th we'll be hosting our final sauce class of the season. Featuring Red Brick Brewing Company plus hands-on sauce making instructions with owner/pitmaster Matt Coggin and, of course, a sampling of our 'cue for your finger-licking pleasure! Seating is limited, so don't sleep on this. Bounce on over to Fresh Tix and reserve your seat. Make More Memories (and less work) This Memorial Day! Planning a wedding, reunion or corporate event? With its breathtaking views of the water and the Nature Center’s Grounds, the Chattahoochee Nature Center is an ideal location for a unique outdoor wedding, business function or graduation party. Looking for some last minute gift ideas this Mother's Day? We've got a fun new experience the whole family can enjoy- BBQ Sauce Making Class! Join owner and pit master, Matt Coggin, on D.B.A.’s patio as he leads this family-friendly sauce session. For more details, click here.